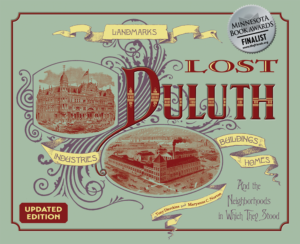 The firm of Emmet Palmer and Lucien P. Hall—later joined by William Hunt—designed the majority of Duluth’s public schools built from the late 1800s through the early twentieth century, as the city experienced a financial boom and the population increased dramatically. Perhaps their most famous academic design is Duluth’s historic 1892 Central High School, a Richardsonian Romanesque masterpiece designed after the Allegheny County Courthouse in Pittsburgh, Pennsylvania; it still stands along the upper side of Second Street between Lake Avenue and First Avenue East. Indiana native Emmet Palmer (1848–1935) cut his architectural teeth working in New York City before settling in Duluth in 1886. He and Lucien Hall were working together by 1888 when they designed Franklin Elementary. 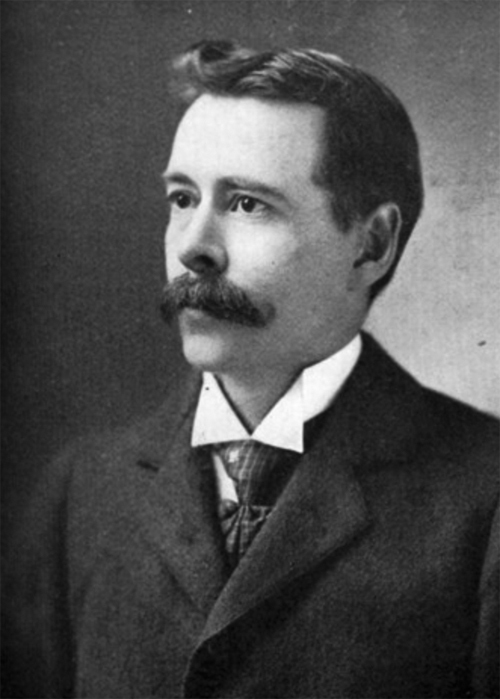 Hall (1854–1933) also worked in New York City in his native state before moving to Duluth. William A. Hunt (1859–1930), a native of Cincinnati, Ohio, studied architecture in his home town and then worked in Minneapolis before moving north to join Palmer and Hall in 1892. Hall retired in 1903 and moved to Minnesota’s Crow Wing County. Two years later Palmer moved to Seattle, Washington, and later to Fresno, California, where he died. Hunt stayed in Duluth and went on to design many of the city’s important homes and buildings, including the William & Mina Prindle house (2211 Greysolon Road), the A. L. Ordean House (2307 East Superior Street), the Wolvin Building (227 West First Street, now the Missabe Building), the Lonsdale Building (306 West Superior Street), and the Sellwood Building (202 West Superior Street). He also designed four houses in a variety of styles in Duluth’s East End: The Zar and Frances Scott Residence at 2125 East First Street (1907, the William and Mary LaRue Residence at 2131 East Second Street (1909), the Alice Florada Residence at 221 North 23rd Avenue East (1909), and the Edward Forsyth Residence at 2111 East Third Street (1910). He moved to Hibbing, Minnesota, in 1916 and worked as the supervising architect for Oliver Mining Company until 1928 when he moved to California. He died in 1930.